By segregating discussions of male and female writers, scholars have offered a myopic view of American literary tradition. 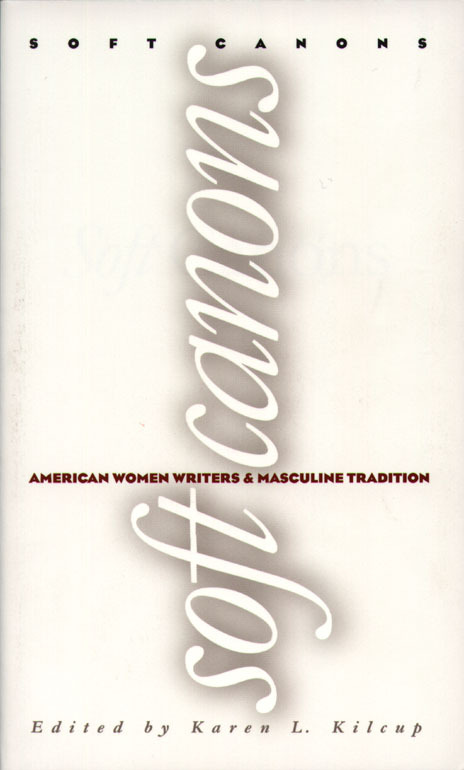 Soft Canons: American Women Writers and Masculine Tradition remedies that shortsightedness, modeling a reintegrated critical practice that enriches readers’ understanding of canonical and unfamiliar texts by both men and women. 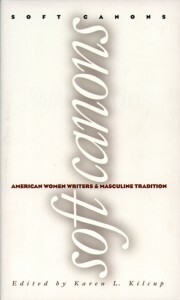 Reading across lines of race, class, and history as well as gender, the essays in Soft Canons place into dialogue such figures as Lydia Maria Child, James Fenimore Cooper, and Catharine Maria Sedgwick; Frances E. W. Harper and William Dean Howells; William Wells Brown and Harriet Wilson; Edith Wharton and Theodore Dreiser; and Fanny Fern and Nathaniel Hawthorne. Kilcup’s introductory essay frames these “conversations,” illuminating how the interactions of gender, politics, and aesthetics have often converged to ensure women’s exclusion from canonicity. An indispensible collection for students and scholars, Soft Canons showcases the excellent work of European scholars, offering a unique perspective on the “canon wars” while dismantling traditional interpretive barriers.